New York, NY (November 28, 2006) – Setting the standard for excellence in the rapidly expanding world of mobile content, The Webby Awards today launched The Webby Mobile Awards presented by dotMobi, the first major awards honoring sites designed for mobile devices. Hailed as the “OSCARS® of the Internet” by the New York Times, The Webby Awards is the leading international award honoring excellence on the Internet, including Websites, interactive advertising, online film and video, and now mobile sites. Reflecting how mobile devices have become a part of everyday life, The Webby Mobile Awards will feature three categories: Listings & Updates, News & Entertainment, and Mobile Marketplace, which will honor sites selling products and services. Deadline for entries is December 15. Nominees will be announced in April and winners will be honored at The 11th Annual Webby Awards in June. dotMobi is the first and only Internet address for mobile phones and was designed by leading companies from both the mobile and Internet industries. dotMobi is dedicated to improving the consumer experience of mobile Internet content by promoting standards and creating useful tools and templates for the creation of new content. Since its public launch in September, more than 275,000 .mobi domains have been registered. The 11th Annual Webby Awards is currently accepting entries in more than 100 categories, including 15 new categories honoring interactive advertising and The Webby Film & Video, the world’s first awards honoring film and video that originally premiered online. Additionally, dotMobi is currently accepting proposals for four premium .mobi domains – “news.mobi”, “ringtones.mobi”, “sports.mobi” and “weather.mobi”- deadline for applications is December 18, 2006. To apply for these premium .mobi domains, visit http://pc.mtld.mobi/switched/premiumsales.html. The launch of The Webby Mobile Awards comes on the heels of The Webby Awards’ most successful awards season ever. Last year’s Webby Awards received a record 5,500 entries in 70+ categories from over 40 countries, and was capped by a star-studded June gala showcasing an inspired and influential group of Internet luminaries including Prince, MySpace founder Chris DeWolfe, Arianna Huffington, and author Thomas Friedman. 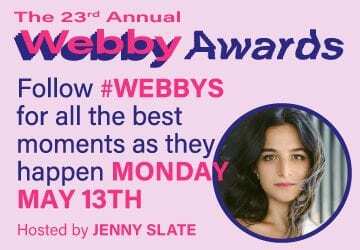 To enter a site in The Webby Mobile Awards, visit www.webbyawards.com. Called the “OSCARS® of the Internet” by the New York Times, the Webby Awards is the leading international award honoring excellence on the Internet, including Websites, interactive advertising and online film & video. Established in 1996, the 10th Annual Webby Awards received over 5,500 entries from all 50 states and over 40 countries worldwide. The Webby Awards is presented by The International Academy of Digital Arts and Sciences; members include Harvey Weinstein, Robert Greenberg, David Bowie and Arianna Huffington. Sponsors and Partners of The Webby Awards include: The Creative Group; Verizon; dotMobi; AOL; Adweek; Fortune; Variety; Wired; IDG; PricewaterhouseCoopers; 2advanced.Net; KobeMail and Museum of the Moving Image. For more information visit www.webbyawards.com. dotMobi (the informal name of mTLD Top Level Domain, Ltd.), a joint venture company based in Dublin, Ireland with offices in Washington, DC, is leading the development of Internet usage from mobile phones via the .mobi domain name. Unique among domain name providers, dotMobi ensures that services and sites developed around .mobi are optimized for use by mobile devices. On-the-go consumers can have confidence that the Internet site or service will work from their mobile device when using the .mobi address. dotMobi is backed by leading mobile operators, network and device manufacturers, and Internet content providers, including Ericsson, GSM Association, Hutchison 3, Microsoft, Nokia, Orascom Telecom, Samsung Electronics, Syniverse, T-Mobile, Telefonica Moviles, TIM and Vodafone. dotMobi is also a sponsor of W3C’s Mobile Web Initiative. For more information on dotMobi and .mobi domains visit http://dotmobi.mobi. Visit the dotMobi blog at http://blog.mobi.